Beth and I set out on an adventure last Saturday. We travelled to the Big Apple to work with Ian and Sarah to film segments for our WordQuations app so that students will see what the synonyms for words like stroll, devour and decipher look like. Ian and Sarah did an amazing job of translating these vocabulary words into video taking into account, speed, intensity and emotion for each synonym. Watching them work was truly inspirational. We can’t wait for you to see their talent and watch their zeal in bringing these synonyms to life. 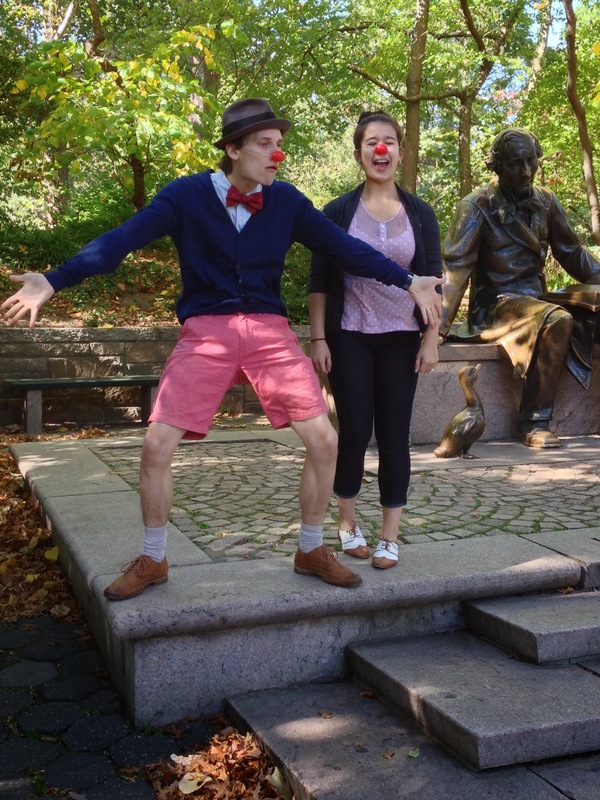 We know students will enjoy their “red noses” which lend so much to conveying emotion and just make you want to smile! Stay tuned….